Step 2) He handles the devil for you! Will The Devil Know My Problems? As I sit down to answer the question of “Will the devil know my problems”, I can’t help thinking of times when I was a boy in school. The teacher would ask a question, then call for a show of hands from those who knew the answer. All who felt they knew would immediately stick their hand up high, and hope the teacher would pick them. In a similar way, someone has launched this question into the internet. However, unlike the teachers in our childhood classrooms who knew the answers, the person asking, “Will the devil know my problems?” is earnestly seeking an answer. Well, I know the answer, but putting my hand up won’t help. I’ll have to rely on the search engines to send you here. ANSWER: The Devil Already Knows Your Problems! The devil most likely caused your problems! He’s hoping you won’t find out that God is right there in the situation with you, longing for you to release your problems to Him. Meanwhile, the devil laughs at you and mocks God as you worry and fret with anxiety over how to get help from God. Here’s a test you can use to see if it’s from the devil. If it’s readily apparent that the thought, “If I talk to God, I feel like the devil will know my problems,” is actually keeping you from turning to God, or trusting God, or confiding in God, or releasing your problems to God, then you know that the thought is from Satan and his demons. As I’m sure you know, their goal is to keep you away from God, and to keep you from reading, understanding, and applying principles from the Bible. Let me point you toward the things you need to know. Start by reading my article, What The Devil Does NOT Want You To Know . 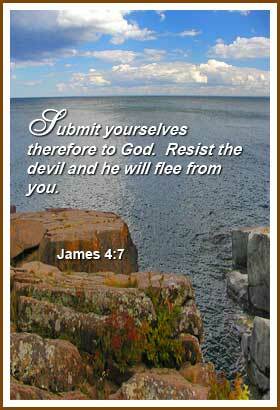 That article reveals strategies the devil uses to keep you away from God and from learning God’s Word. The article also has excerpts and links to many other articles I’ve written on the subject of Spiritual warfare. There’s also a list in the sidebar with links to Spiritual warfare articles. Let me ask you: does this passage of Scripture describe your life? It can, you know. It really can. But you have to do your part. Then you can quit wondering, “Will the devil know my problems?” and begin living in the joy of the Lord. Use the links I’ve given you and do some reading. Feel free to ask questions. You have nothing to lose and much to gain. I have a keen analytical attention to get detail and may foresee troubles prior to they will happen.